We do not have many political thrillers based upon Indian politics- not that I heard of, at least. So, at the very onset, the author Aparna Sinha deserves congratulation on that front. 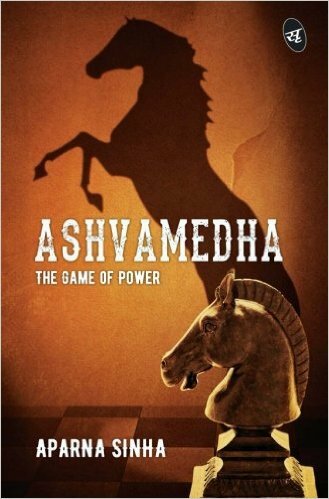 The title of the novel is aptly justified; it’s a story of Ashvamedha ceremony- ancient Hindu ritual of elevation of an animal to a powerful status, and then its sacrificial slaying- by the antagonist Hades, who desires to become the ‘most powerful man’ in the world, and longs for the grandeur and respect he imagined the title would bring. But finding that no such one ‘most powerful man’ exists- owing to dynamically changing world, where everybody is dependent (and, thus, weaker to) someone or the other, at some or the other point of time or need. Not the one to be thwarted, Hades decided to create a ‘most powerful person in the world’ of his own- the ‘sacrificial animal’ Ashwin Jamwal, who finds himself having swiftly risen to the posts of president of the tipped-to-be-winning-next-LS-polls political party, then the prime minister of India and, finally (and very dramatically), the most powerful leader of the whole world. Needless to say, Ashwin finds himself taking his ‘dead man walking’ walk not-too-later, his secret ‘maker’ Hades demanding the ‘blood price’ for elevating a nondescript, over-idealistic IAS officer to the position Ashwin was in. The plot is interesting, undoubtedly- the author reveals the intricate fibers of power games that go on ‘at the top’- both in India’s domestic politics as well as on the International level, especially in the United Nations. But the same cannot be said about the, although very brief, moments where author delves into the domestic politics of USA, where, in my opinion, she fails to display any actual, in-depth insight that she so brilliantly shows in the context of India’s domestic politics. Certain ‘tokenisms’ could have been avoided- like forcibly showing USA having a ‘first female president’, (if they­- the Americans- themselves did not elect one in 200+ years of their self-rule, why, exactly, does an Indian author have to go out of her way to give them one??) the predictable, overly-clichéd petty ribbing and arguments between heads-of-nations in conformation to popular stereotyping of the dynamics between them­, the POTUS flirting with Indian prime minister Ashwin Jamwal (really?? Is that how our ‘patriotism’ is satiated now- by making the leader of the free world, internally, going silly-giggly over the ‘young and handsome’ Indian prime minister) etc. While Ashwin’s character does portray how we Indians want our PM to be, having him academically Kejriwal (well-educated, ex-IAS, disgruntled with corruption), politically Narendra Modi (‘clean’ image, the ‘Young Turk’ getting speedy elevations into party cadre, with visible hand of party’s founder and rivals’ allegations of corporate-friendliness, foreign-policy centered election-manifesto) and loaded with the ‘charms’ of Rahul Gandhi (young, handsome, famous among women more due to looks and youth than due to his policies) actually downgrades the wonderful experience that this book initially promised to be!! The strength, poise, thrill and ‘tightness’ of Part-I can only be matched by how story fails to impress in Part-II, though!! 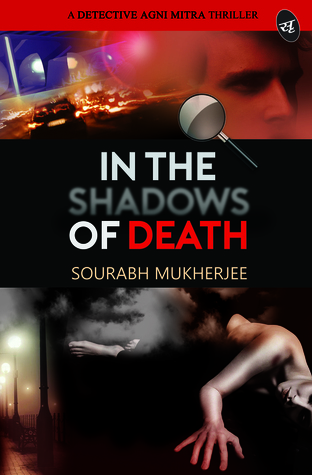 DON’T READ: If you’re hoping for something Jeffery Archer or Ashwin Sanghi-type! !